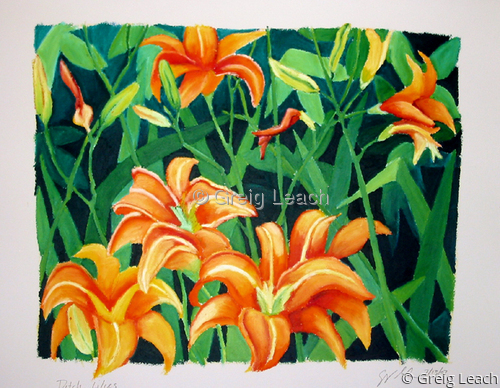 Driving from Richmond to Farmville, Virginia I was struck by the beauty of the lilies growning at the side of the road. It was an image whose beauty needed to explored in paint. This painting is ultimately an abstract work, just an image to hang the form on.